Are French wineries cleaning dirty money? Does it matter? According to France’s finance ministry, there is much suspicion that foreign investors are using the French wine industry as a way of cleansing their dirty money. That’s according to the just-released study by Traitment du renseignement et action contre les circuits financiers clandestins (Tracfin), a branch of the French Finance Ministry dedicated to fighting money laundering and terrorist financing. The report points fingers at Russian, Ukrainian and Chinese investors, in particular. “Wine is a very attractive sector,” a ministry spokesperson was quoted as saying in Wine Spectator. The report does also caution, however, that most foreign wine investors are legit. You don’t have to be super sleuth to know that the Chinese are sending huge amounts of money abroad—nearly $3.8 trillion between 2000 and 2011, according to a report by the Washington, D.C.,-based Global Financial Integrity (GFI), an organization that monitors and investigates money laundering. In the past decade or so, Russians and Ukrainians have become major investors in French vineyards and the French wine industry in general. But more recently, Chinese investors have been rapidly buying up Bordeaux chÃ¢teaux, and currently own some 50 vineyards in Bordeaux, alone. Cognac is certainly profitable. Exports for the prestigious French brandy to Russia and China have soared in recent years, and in the past eight years, Russians have purchased seven wineries in the northern French region of Cognac, also resulting in a corresponding increase in real-estate prices for the area, which has ticked off some locals who’ve been priced out of the market. 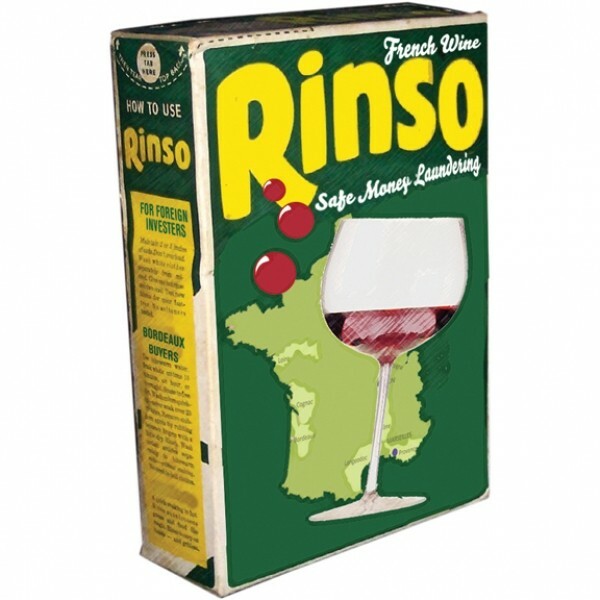 So, it appears that the jury is still out regarding the French wine industry’s money laundering which, even if true, would only account for a miniscule amount of the wine produced there. Would any of this deter me from enjoying France’s great wines and brandies? Not for a Margaux minute.